Delia has been under the weather so we ventured out late today to Lake Sammamish State Park, where we did a 10,000 step walk out towards the marina. I overdressed and regretted it in the stifling muggy heat of the afternoon. 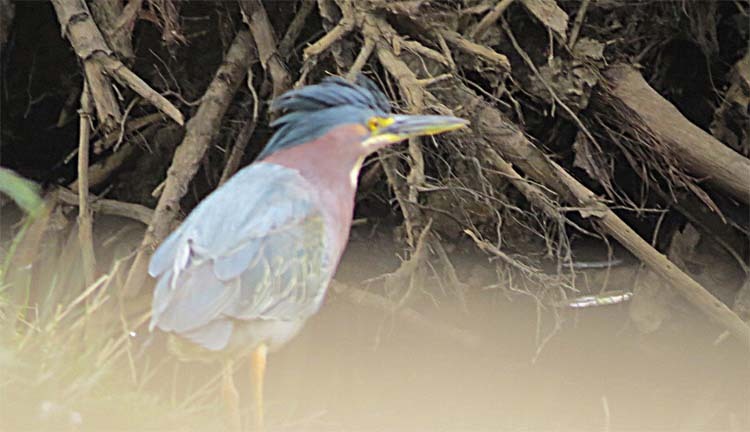 We were delighted to see this Green Heron at Issaquah Creek. I don’t get many shots of this species, which is really quite glamorous but it’s usually hard to get it to strike the right pose or stick around for more than a few seconds. 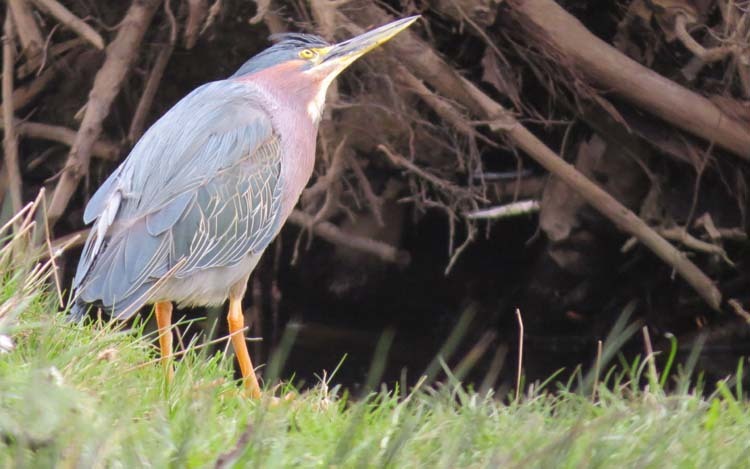 When we saw the Heron we were trying to get shots of the Rufous Hummingbirds. 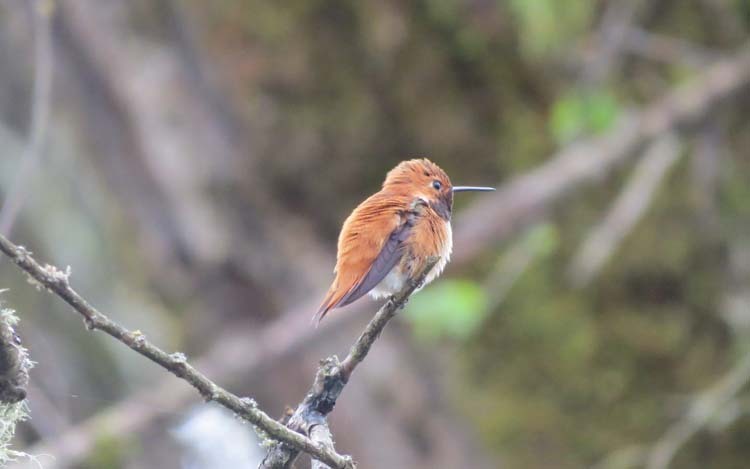 Anna’s Hummingbirds have invaded the Park in droves so I worry about the Rufous, but we did see and hear quite a few. Another bird that shocked me with its absence was Tree Swallow, but we saw a couple very, very high, out of earshot, late in the walk and I decided to hope that they were foraging up there. A high-foraging Hirundine is a happy Hirundine, because no Merlin or Cooper’s Hawk is going to get them at 5000 ft. This Rufous got tired of sitting after a half- minute or so, nobody ever accused Rufous of being couch-potatoes, I mean twig-potatoes. 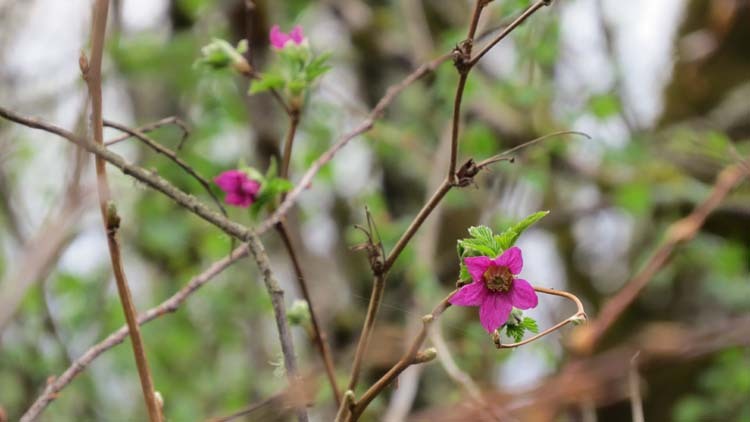 This is what gets the Rufous Hummingbirds excoted: Salmonberry! Everyone should plant it in their yard. 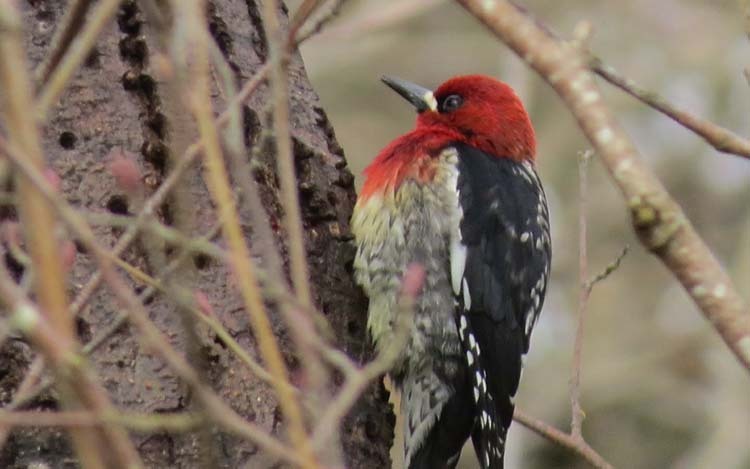 This was actually only our first Red-breasted Sapsucker of the year, a late date considering this bird is somewhat abundant in the right habitat. This bird was at it’s “farm,” note the holes drilled in the tree to trap insects. 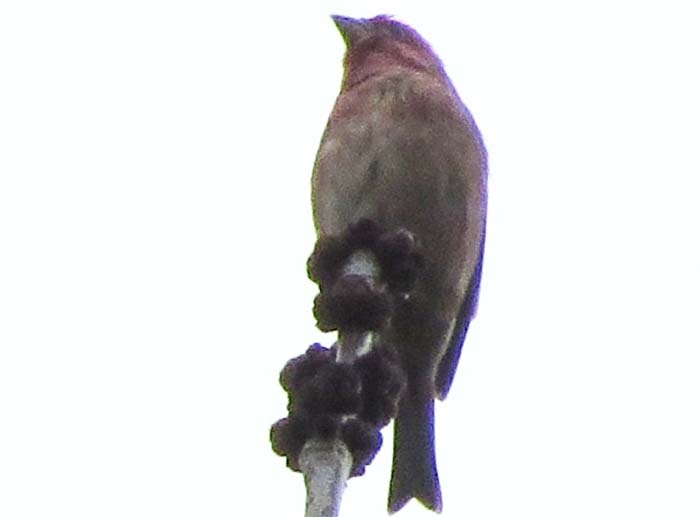 Purple Finch were at the tip-tops of the trees singing their lungs out. Sorry for this lousy photo. We’re pretty sure we heard our first Hutton’s Vireo of the year but as soon as I realized what it probably was it shut up, kind of typical of Hutton’s Vireos. 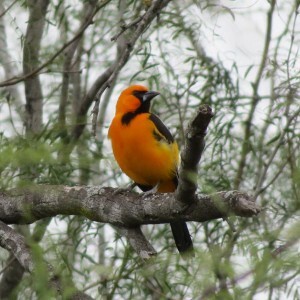 We’ll wait on a better sighting or auditory event to add that bird to our year-list. Delia and I had just been admiring a photo of a Drake Green-winged Teal on a calendar that gets produced out of Louisiana every year. 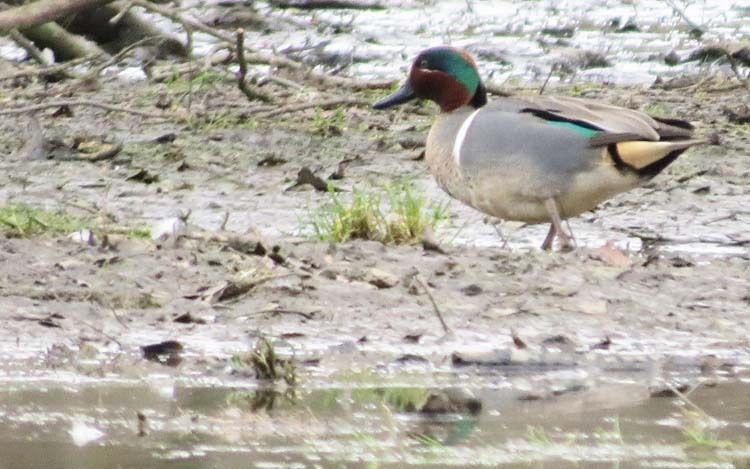 So when I saw Green-winged Teal in the vernal ponds in the parking area, I tried to get shots that would show the shocking color. 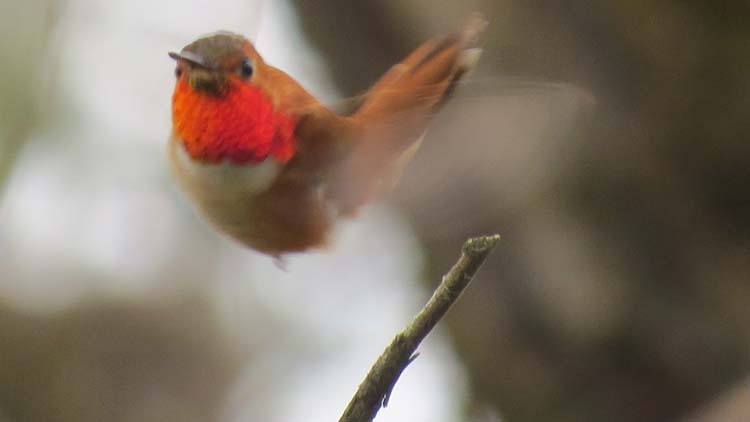 They may not be in focus or anything, but they do hint at the regal color pattern this bird has. Here’s another shot of a Greenie. 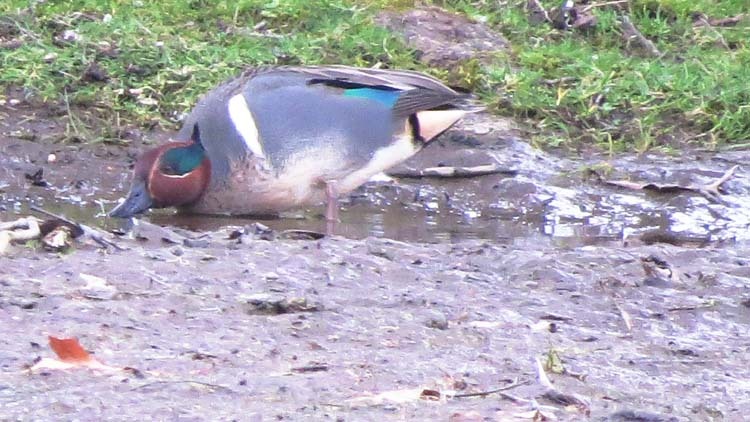 There were a few American Wigeon also. 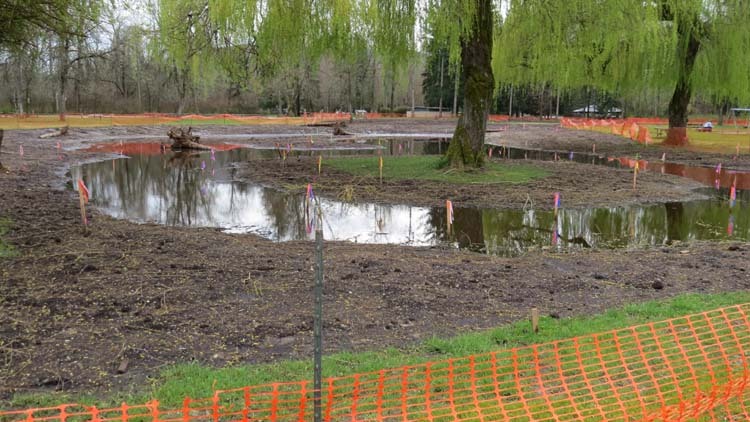 I tend to fear and dread any changes in natural areas or parks, usually with good reason, but people should check out Lake Samammish State Park. It seems that it’s actually being improved! 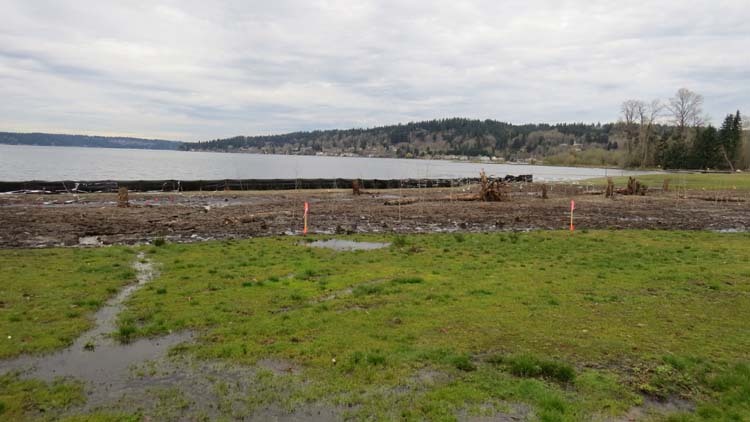 In stretches that were huge expanse of mown lawn, the Park is installing natural habitat like here and the preceding shot , all in the central beach area. 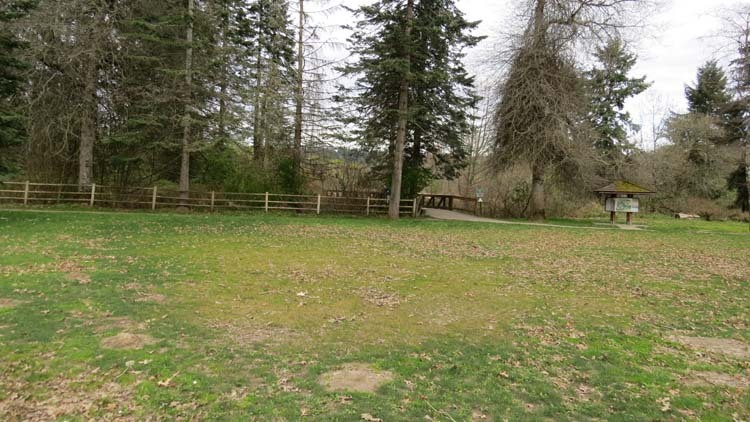 This nice grassy area used to contain a redundant bathroom building, right near the main bathroom building. I would never have noticed it was gone, but Delia did. And this area no doubt is a natural wetland where lawn mowers presumably always got bogged down. 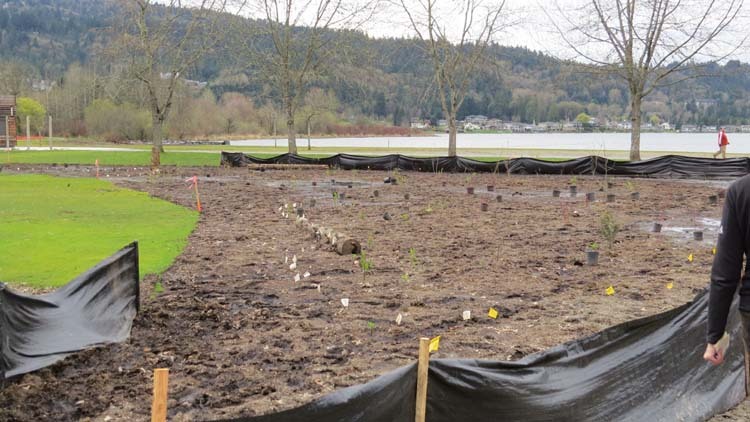 Really great improvements and the leadership at Lake Sammamish and at State Parks deserves credit.